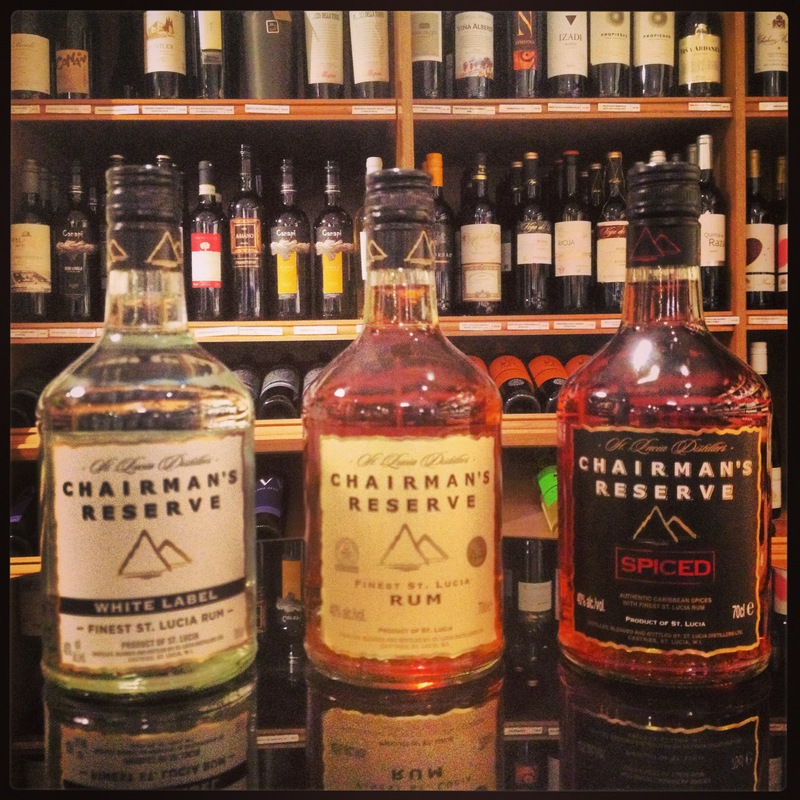 Chairman’s Reserve hails from St. Lucia in the West Indies and created by the St. Lucia Distillers within the walls of the Roseau Valley Distillery. Crafted using naturally filtered rainforest water, six rums are individually aged in ex bourbon barrels including Jim Beam, Jack Daniel’s and Buffalo Trace for 5 years, and then, using artesian distillation techniques, the rum is triple distilled using a Coffey Column Still, John Dore Copper Pot Still and a Kentucky Bourbon Vendome Pot Still. After the final distillation, the individual distilled rums are married together and then reintroduced to oak barrels for a further six to nine months. A vanilla and honey nose with ripe exotic fruits pushing their way through. On the palate it gives off subtle sweet characteristics of spice with the vanilla being slightly more potent. Slight kick follows, but it leaves a mellow after-taste soon after. A blend of three to four year rums, gently filtered to remove colour. Subtle citrus and raisin notes on the nose, with a smooth offering that turns into a developing pepper spice on the palate. Sweet notes of vanilla come through, a creamy texture is present and a fresh citrus finish completes. Hints of dry spice lingers. Contains local spices and fruits including cinnamon, clove, nutmeg, vanilla, coconut, all spice, lemon and orange.Also has Richeria Grandis – known locally as “Bois Bande” – a bark renowned in the Caribbean as a potent aphrodisiac to give an added kick to the rum. Dry spice on the nose, with the orange and nutmeg coming through. Reminds me of rich Christmas pudding. Very smooth on the palate, with a a smooth offering of spice and sweet flavours. Orange dominates to the long finish. A little dry. 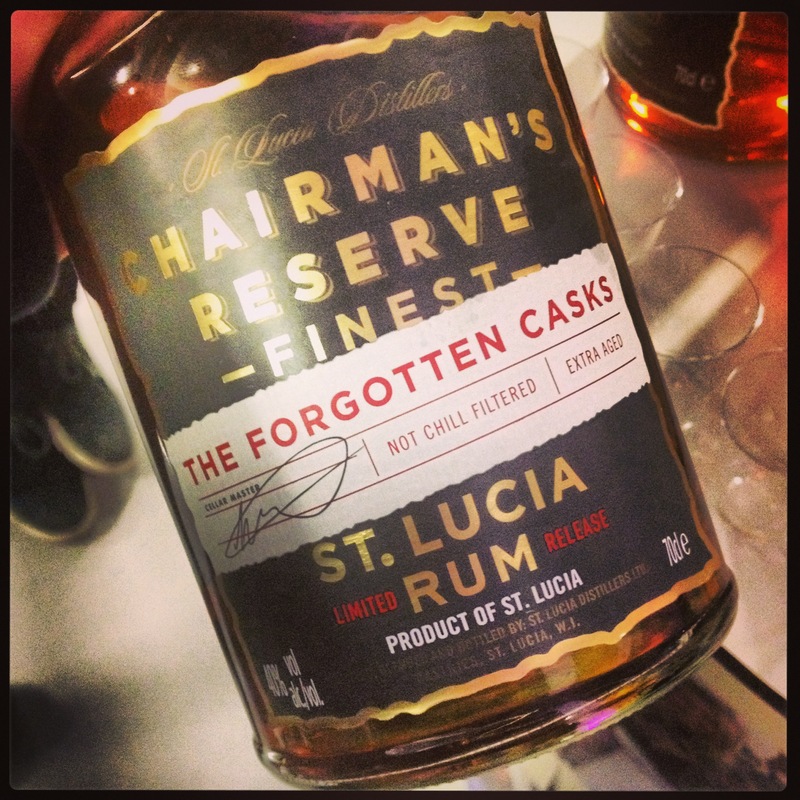 On May 2nd 2007 St. Lucia Distillers was struck by a major fire and suffered great problems with storage space for their casks. In the melee that followed the cellar master, Mr. Cyril Mangal, was forced to find space for ageing casks in the most unusual places. Having done so, the cellar team had a memory lapse and forgot the casks that had been laid down and were only recently discovered. A blend of rums ranging from seven to twelve years in age. Intense nose of coffee, raisins and vanilla on the nose, blending well. Rich spice on the palate, with sweet honey, toffee, glazed fruits and hints of coffee all present. Well-balanced, with a great finish of raisin. Gently muddle the mint leaves with the simple syrup and lime juice in the bottom of the glass. Add Chairman’s Reserve rum and ice and top with soda. Stir and garnish with a mint sprig. Simple and refreshing, two words you wish to hear when it comes to a rum based cocktail. A great addition to any night out, or indeed your own night in. Oh, and it’s award-winning too. Chairman’s Reserve received the Rum Trophy at the International Spirits Challenge this year and, with 4 gold medals out of 6 rums entered, was also awarded the trophy for best individual distillery – ahead of all the malt whiskies, cognacs etc. And to cap it off, at Ian Burrell’s Golden Rum Barrel Awards 2013, Laurie Barnard, the eponymous chairman who sadly passed away last year, was elected to the Hall of Fame. Raise a glass.